CHAGRIN FALLS, Ohio, August 27, 2018	(Newswire.com) - L. J. Kramer, a gifted writer, has completed her most recent book “Simenon and Skinner: The Travel Agents”: an enveloping and engrossing story of Elgin Simenon and Adman Skinner and how they came to meet. It is a story of the real, the possible, and the impossible. Published by Fulton Books, L. J. Kramer’s book weaves a story about winter storms and how they are magical and mysterious. They blow into town, thick and blinding, covering everything in their path. Trash cans, dumpsters, orange traffic cones, brown brittle bushes ── the ugly reality that existed before the storm ── are suddenly transformed into sparkling snow-covered mounds. Real becomes fanciful. A white snow-globe world. And what about the people who get caught up in these storms, the locals and the stranded travelers? Do they fall into a stupor, letting their frustration blind them from the beauty of the storm? Or do they give in ... take a peek outside and let the white world work its spell over them? Elgin Simenon is a local and Adman Skinner is a traveler, and both are stranded in Washington DC during a winter blizzard. They meet serendipitously at a hotel restaurant, and all through dinner and desert, they tiptoe out of their usual roles letting the magic of the snowstorm transform the evening into something other than what it is. But all is temporary, and soon reality sets in. Their meeting was anything but serendipitous. In fact, it was all planned with exquisite precision. 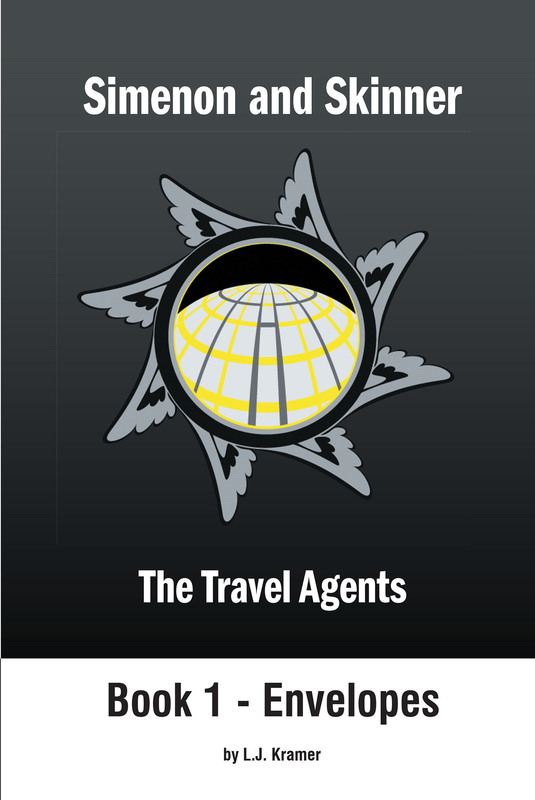 Readers who wish to experience this sweeping and romantic work can purchase “Simenon and Skinner: The Travel Agents” at bookstores everywhere, or online at the Apple iTunes store, Amazon, Google Play or Barnes and Noble.